Please note that this role will be based in Tanzania. About us: Editec UK is a leading sports betting, lottery and gaming operator in Africa with a strong presence in 20 countries and management satellite offices across Europe and the Middle East. The retail division operates under renowned brands of Premier Bet, SBA, Mercury International, Guinée Games and R&S Betting. The gaming industry is one of the fastest growing sectors in Africa, creating sustainable jobs and generating new sources of wealth and revenue in the developing markets. The people of Editec are experienced professionals, passionate and committed to working together to develop maintainable and responsible gaming activities throughout the continent. Editec’s fundamental strategy is to strengthen its presence globally through developing unique online gaming platforms, providing the most efficient payment solutions and offering the largest variety of games to its customers. We constantly strive for excellence in performance, technology and creativity. 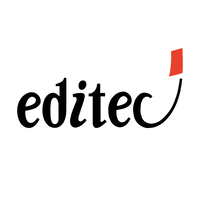 Editec hires directly 330 employees and consultants who are unique individuals and excel in their roles of establishing and growing the business in the face of challenges encountered in the emerging markets. We are shaping regulations through partnerships with governments, positively managing currency fluctuations and political, economic and social uncertainties.